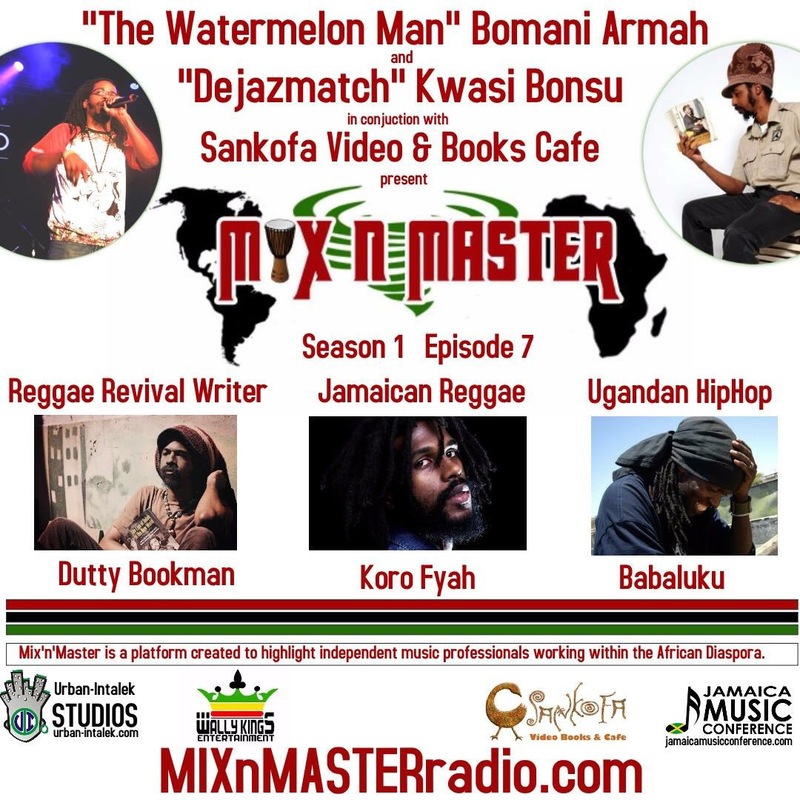 In this episode Kwasi brings back Dutty Bookman to discuss the movement he has helped dub as the Reggae Revival after a panel at SXSW 2027. He also speaks to Koro Fyah of the Bevel Rock camp about his ABC’s at SXSW as well. Bomani interviews the founder of the Uganda’s Bavubuka Foundation, Babaluku, and their chief archivist Gilbert Daniels about Hip-Hop in Uganda and the Lugaflow movement. Bomani and Kwasi also discuss spirituality in independent music, and how the community discusses things like sin. A must listen! Hello fellow educators! For well over 15 years I have been using hip-hop, poetry and multi-media disciplines to teach fun and informative workshops with all ages from kindergarteners to graduate students. As you know, the art of MC’ing is reliant on the ability to rearrange complex ideas into concise rhymes. If they done correctly, MC’s can make memorable rhymes that stick with the listener and inform them about the world around them. It is commonly believed that the art of hip-hop rhyming is an innate talent, but by using my program B.A.R.S. to apply the principles of the writing process, any student can be taught to rhyme on topic. B.A.R.S. workshops, residencies and teaching materials show students how a well- written essay resembles a well-written song, with the Main Idea being the thesis paragraph in an essay and a chorus/refrain/hook in a song, while the Supporting Details in an essay are just like the verses. Using my innovative B.A.R.S. techniques, students learn how to summarize any topic with a well organized paragraphs and rhymes. Armahs 2 Afrika iPad Raffle! Before there was this thing called Google (and yes, for those 25 and younger there was a pre-Google world), the 10 year old me use to spend hours leafing through encyclopedias. There would be one word or concept I’d hear about on the news or see referenced in a movie or book, and I’d go rushing to the big stack of red books in alphabetical order. There should have been 26 books but there were more like 30 something. Some letters had so many words and concepts that they took two volumes. I would start off researching “grav ity”, and after flipping towards the end of the G section it would say “see Isaac Newton”. After sifting through the “I” section (then realizing I needed to be in the “N” section) I’d get to the end of the section on Newton and go back to the part where it discussed Newton’s writing on the Bible, and I’d have to look up “textual criticism” and or “pantheists”. Before you know it I had traveled around the world and back again, all while sitting criss-cross apple-sauce in the extra-bedroom in our house that doubled as the library. I wonder what my face looked like? There weren’t camera phones, and my parents weren’t creeping around the corner waiting to catch me in a cute moment with their Polaroid. I’m sure my big eyes were lighting up, or my brow was wrinkled as I flipped intensely through volumes of information. I’m sure my jaw dropped one or two hundred times, as I learned the connections between historical figures and events I never knew existed. You can’t fake intellectual curiosity. It’s something all children are born with. It’s what causes human progress in the first place. It does not have to be taught, just drawn out. I want my sons to have the same thrill I had, even more. This is a big year for my sons. The first grade. The first baby teeth gone. The year they started martial arts. The year they got serious about an instrument (their dad has been slippin’ on that one). This is the year they got into their first fights (other than with each other), the first times they’ve been bullied. They get less of the “awwww, they’re so cute” these days. Not because they aren’t cute, but because they aren’t “pint-sized”. There is something that changes when little boys (little black boys) are big enough to speak their mind. The world is so very wide open to them now. They can read. There is no accomplishment they can’t conquer with the right amount of time. It is exciting being around them. 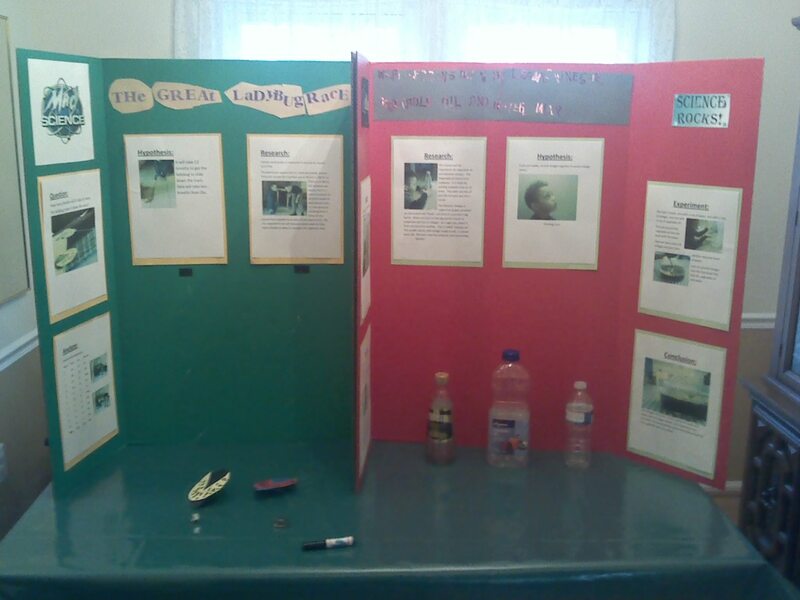 This is when they’ve done their first science fair projects, and it was an eye opening experience. 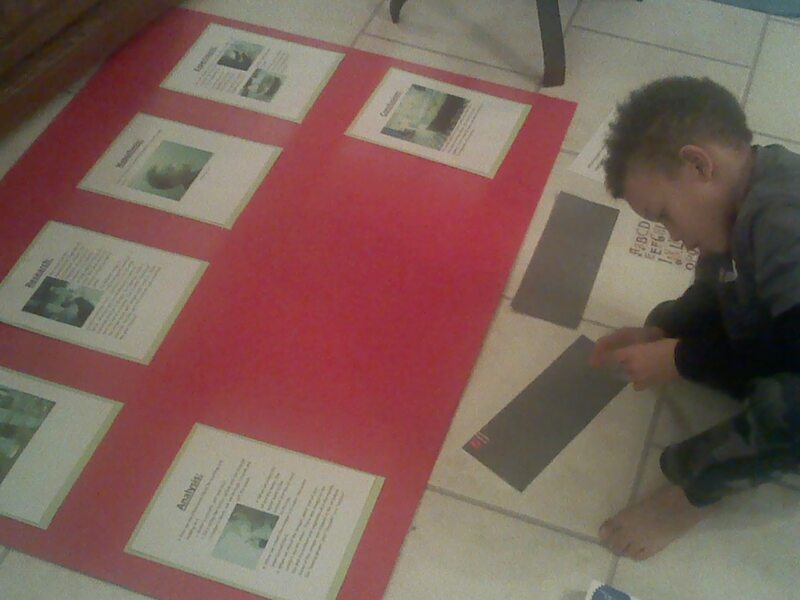 For his first science fair projects Olu did an experiment to see if water, oil, and vinegar would mix together. He’s so observant, and I make sure I tell him that all the time. I make sure that he knows that makes him a scientist, and that he will always be a scientist, even when he’s a Mighty Morphin Power Ranger or an Air Bender (his two professions of choice right now). Dela chose an experiment where we created “lady bugs” that would slide down a string using wind power. We created a hypothesis about how many breaths it would take to get the lady bug down the track we created, and also turned it into a contest between him and his brother. The experience was one of the most fulfilling ever. Especially their excitement when their project where displayed in the school. Running through the aisles of finished projects, Olu and Dela were elated. They knew which projects their friends had finished, and wanted to make sure that we saw them. They got a nice green “participant” ribbon. 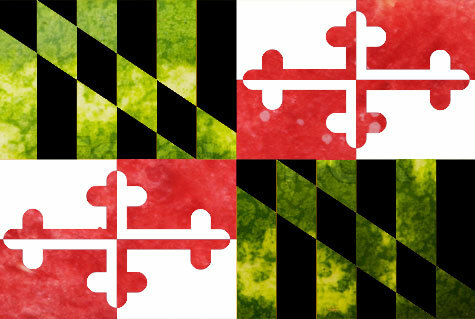 It wasn’t Blue or Red or White like the 1st, 2nd and 3rd place ones. Their mother made them take a close look at the winning projects and observe what was good about them. They made some great observations, even asked if they could do a project that required growing a plant next time. That would take more than the weekend that we spent on these projects, but why not? What greater multi-discipline learning experience is there, other than conducting then presenting an experiment? 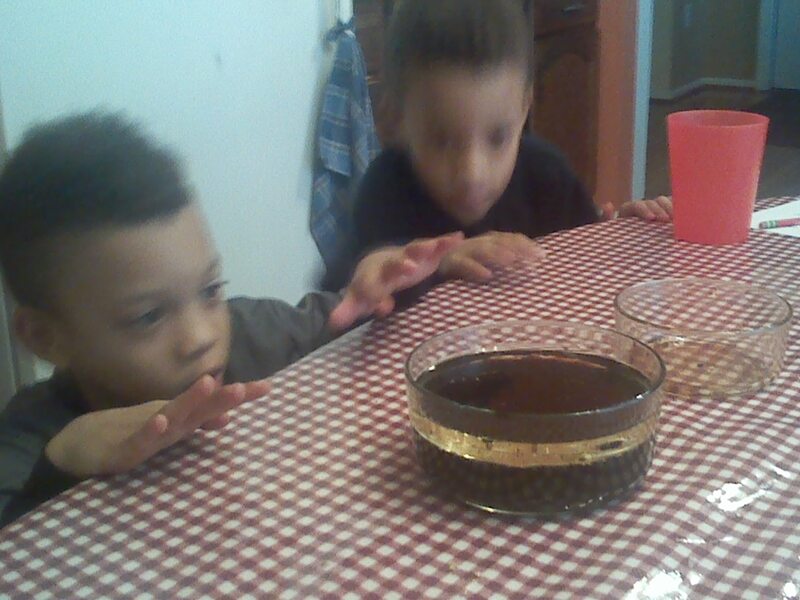 Here Bomani muse’s over his thrill of participating in his sons’ first science experiment. And how he is about to undertake his biggest experiment to date…homeschooling our soon to be 7 year old, second grade sons. I am 35. I was a super curious kid. I would put encyclopedias in the bathroom and read an article every time I would take a dump, by the time I was in 6th grade I had read the entire encyclopedia. I am reading through a bunch of your posts on this site and I am just so inspired! As a parent this one really touched me. The post has made me consider how I can integrate learning into everday activities. Way to go, Bomani! Always so thoughtful, and when you talk about your adventures in parenting, I am left thinking, re-thinking, and preparing myself. I am so glad you share your journey.